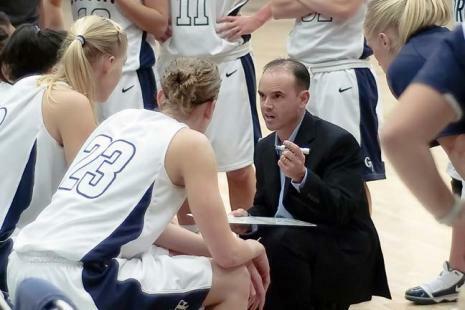 GFU Basketball Season. We are partial to the women’s team who made it to the Elite 8 this year (ahem… and won the National Championship last year) and always puts out 100% effort. We made it to most of the home games this year which was a blast since they were undefeated in regular season play. An added bonus of going to the games is hanging out with John’s grandma who attends every home game and watches intently. My favorite: hearing Grandma Edna say “miss it, miss it” under her breath when the other team is shooting free throws. Last weekend we watched the season end prematurely on a big screen set up in the gym–not quite like being there, but nerve wracking nonetheless. Food Meet. The first of two 2010 “food meets” took place in January. What’s a food meet, you ask? A chance to meet your food, of course. We joined the community to watch clips of the movie Food, Inc., hear from local farmers and community advocates, and sample local food. I am proud to be part of a university that values sustainability and buying local. I hear the second food meet will be in April 2010, if you’re interested in meeting your food! Shane Claiborne. Another voice in the work of reconciliation, Shane was at George Fox in early March sharing his experiences from a recent trip to the Middle East, as well as challenging listeners to break through the walls we put up around us to keep ourselves “safe” from the world. He was much more animated and excited than I expected–an engaging speaker, he’s become kind of a regular at George Fox and it’ll be cool to hear him again in the future. Invisible Children. Yet another voice speaking out for justice and reconciliation, this time with a focus in Northern Uganda, Invisible Children aims to bring awareness to the longest running war in Africa which endured more than 24 years in Uganda and is now moving to other parts of Central Africa, as well as help to the child victims of the war. 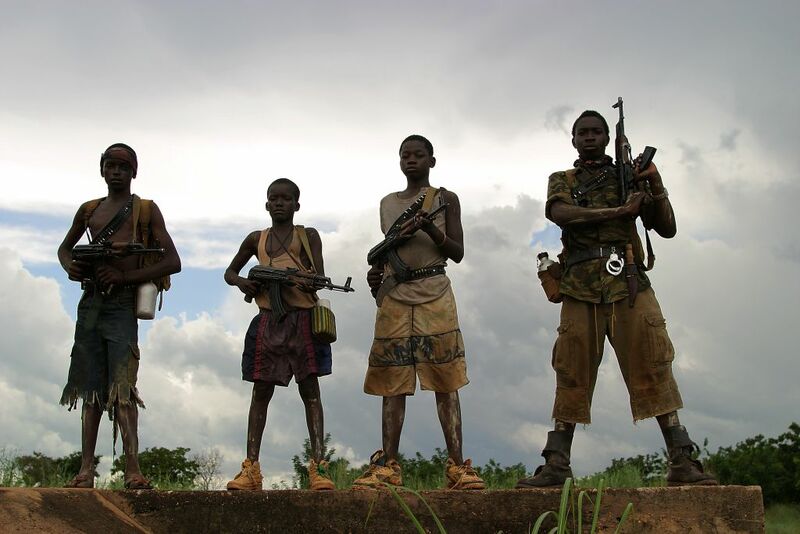 Thousands of child soldiers have been abducted from their homes since the mid-80s and forced to fight in this senseless war. The current campaign of the organization is to begin a legacy of educating those affected by the war in Northern Uganda. There are 800 students being supported by the program–it takes $35 a month to put a child through high school and university. Seriously… $35. And 100% of that goes to the education of that child. With our travel, this time last year in Africa, we feel so much more connected with these stories and feel burdened, heavy hearts for the people of many African countries. Intramural Basketball. John participated in a 5-on-5 intramural basketball team with the brother of a long-time friend, Jon Rickey (the brother is also a friend =)). When the brother, Dave, called to tell John his first game was at 11pm, the only thing we could do was laugh. After short and sweet three weeks and like eight games of reliving his glory days, the season came to an end. It was fun, but I also think John was relieved not to have 11pm games. I managed to get to two games–both of which started at more reasonable hours of the night (9 and 10pm). The Oregon Symphony. Each year Ken and Joan Austin generously pay to have the Oregon Symphony to come out to little ole Newberg and play an evening of music. George Fox employees can get two free tickets and for the first time, we took advantage! It was a great performance and so cool to hear conductor, Carlos Kalmar, remark that George Fox University has the best hall in the state, as far as he was concerned. The Symphony regularly records here and with their annual performance, the group is no stranger to our town. Looking forward to next year! I just love where we live and am so glad we’ve had the time this year to be part of the community! What’s next? Empty Bowls for Haiti takes place in April, a class about CSAs at the library in a few weeks, the summer concert series starting in June or July, and a lot of other fun, I’m sure! Check the GFU website for stuff going on at campus–there’s always something going on (unless it’s spring break, which is next week =)). This entry was posted in Home, Just Having Fun. Bookmark the permalink.